It’s not all ponies and cute cowboys, y’all. After my freshman year of college, I decided to take the plunge and follow my dreams, so to speak. 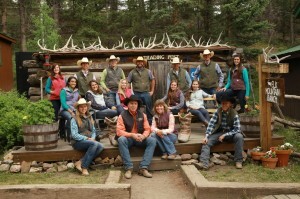 As odd as it may sound, I’ve always wanted to work at a dude ranch. In elementary school, my mom took my brother and I to Elk Mountain Ranch, a family ranch nestled in the mountains of Buena Vista, Colorado.